Perhaps we can lessen your load. We aim to make all moves as hassle free as possible, we offer a comprehensive professional service to meet the needs of households of all sizes including packing/part packing, dismantling and reassembly of furniture. Free estimate with consultation and impartial advice on all aspects of your removal. A detailed schedule for packing, removal and delivery of goods and furniture is designed around your individual needs. 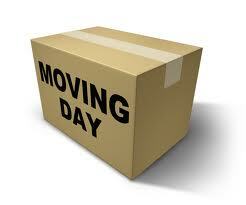 Free packing materials (cardboard boxes, protective paper, and plastic wrap) are delivered in advance of removal. Professional packing service available on request (full, partial, breakables). Disconnections and reconnection of household appliances.